Totem Tamers congratulates the 2015 FIFA World Cup Champs: the U.S. Women's Soccer Team!! 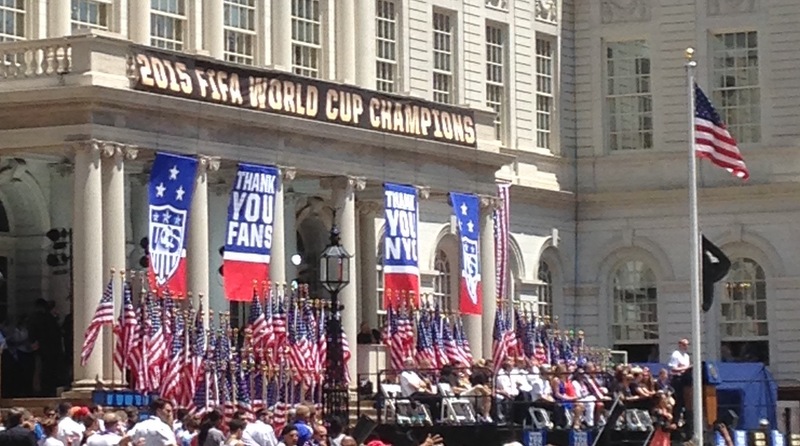 There has never been a ticker tape parade for a Women’s sports team, until today! Unbelievable view of parade and ticker tape! Thousands upon thousands of eager fans lined the streets of New York City to watch the 23-member team parade by on floats. There were grins from ear to ear, and even tears of joy from many in the crowd! Many dignitaries including the mayor, and Governor Cuomo, were on hand to honor the team, all thanks to Manhattan Borough President Gale Brewer, who circulated a letter earlier this week asking for the team to be honored! Robin Roberts, whom I’ve long admired (there was a time I wanted to be a sportscaster) was the emcee of the event (she was also gifted a Totem a while back!) Keys to the City were given, and cheers were sounded, as the masses celebrated this team of women who played brilliantly in the World Cup event. Congrats and thanks for bringing this community together to celebrate your accomplishments! 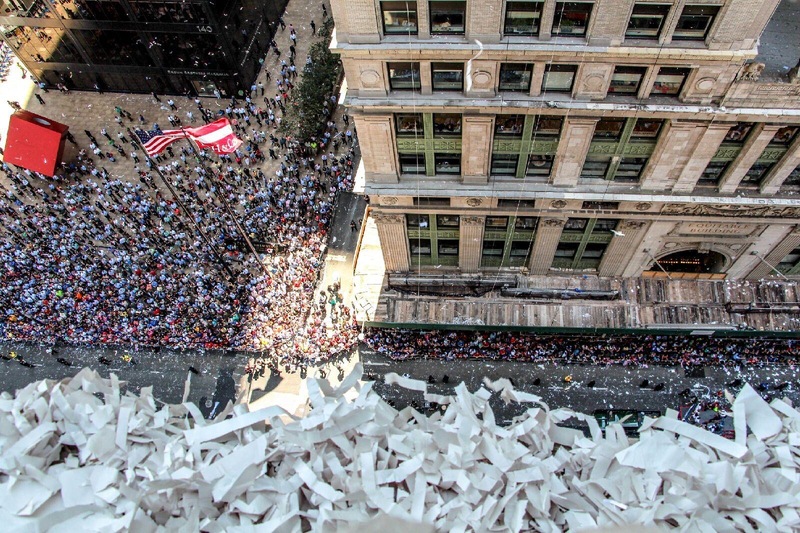 How about a Totem Tamer Ticker Tape parade? Ok, maybe not, but it’s fun to say Totem Tamer Ticker Tape, isn’t it?! Maybe you still want a Totem, though? Yeah, you do. Just click on any of the Totems on the side of the page and order yours today!